Editor’s note: This is the second part of a year-long series on how woodworkers can utilize custom or standard components to improve their productivity. Large project or spike in business. Woodworkers are often presented with a job with time constraints or sheer size that exceeds their capacity—people, machining, packaging. Outsourcing everything from selected component parts to major parts of the job, a company can accept the job with confidence and without having to add personnel, equipment and other capacity needed only in the short term. Repetitive parts. Every woodworker has a need for parts that rarely change in specification. Examples are drawer sides or drawer parts and shelving. Why tie up people and machinery to do the same part over and over? 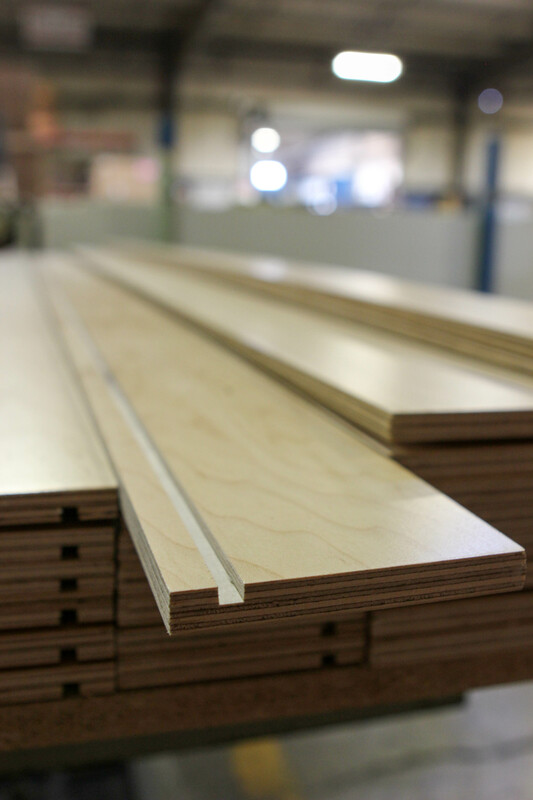 Component suppliers like the Spectrum Division of Timber Products Company can produce high volumes of drawer parts on its state-of-the-art machinery to your exact specifications. Outsourcing repetitive parts gives you time to focus on more important aspects of your business, like product and market development. Reducing your costs. Component manufacturers like Spectrum have invested heavily in high-volume, tight-tolerance equipment. Spectrum gets most of its raw material from Timber Products Company mills. The resulting economies of scale mean that woodworkers can buy many components for far less than their cost to make them. And your freight bill is only for usable parts, not full panels that will generate trim cut and waste when processed on site. Knowing your cost. One of the main challenges of every woodworker is knowing your true cost—material, labor, overhead, everything. By purchasing custom or standard parts, you now know your exact landed cost. Reduce waste, inventory. Woodworkers look at their dump bin and cringe because all that wood trim is lost money. By purchasing component parts, you get 100 percent good parts and ZERO waste. Little or no wood waste is a great addition to your “green” initiatives. Which of these factors is your business faced with and how can we help?